We have the honor to introduce a great interview to one of the best exponents of the pure version of the Paleo diet, Csaba Tóth. He’s the medical director of Paleomedicina Hungary, a clinic that is actually helping thousands of people to heal from a wide array of disease (cancer, autoimmune conditions and so on…) using the evolutionary template. The stunning thing is that he and his team (Zsófia Clemens and other brilliant researchers) are outspoken and only focused on helping people to achieve the health they deserve without any marketing oriented and politically correct campaign. Can you give us a brief overview of your career? I studied aeromedicine at the Military Academy of Medicine of Saint Petersburg. There, I studied physiology and space biology in an increased number of lessons. Later, I finished the Medical University in Hungary. During my studies at both universities, I worked at laboratories. I worked as an assistant at a biochemical laboratory, virus serology laboratory and at a genetical laboratory as well. Even while a university student, I worked for the ER ambulance service. Having completed my university studies, I started working as an ambulance doctor, then an intensive therapist for five years. Later, I was employed by pharmaceutical companies as a medical sales representative, marketing and sales manager. This period served with a useful lesson for me. I could see how the system of pharmaceutical companies operated. How these companies ruled the medical practice, graduate and post-graduate training. After five years, I returned to medicine and worked as internist and G.P. I started my private practice based on nutritional intervention in 2010. 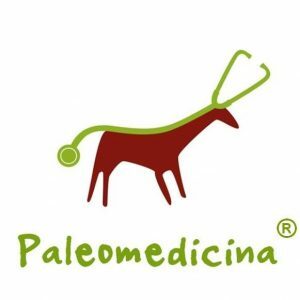 Our rehabilitation center and PALEOMEDICINA HUNGARY under my own medical leadership was established in 2013. In the beginning, we applied the popular paleolithic nutritional principles. Later, dr. Zsofia Clemens joined our team and we have elaborated and started using the paleolithic-ketogenic diet, that we have been using as therapy to our patients since then. Related to this, since 2013, I have been involved in research work as well as focusing on the relationship between biological membranes and chronic diseases. In our laboratory, we introduced the application of the PEG 400 test for the measurement of intestinal permeability. So far, intestinal permeability is the only clinically measurable medical marker of membrane functions. Of course, we utilize this measurement in our nutritional intervention therapy. How did you become interested in the evolutionary approach? I read you tried other ‘paleo’ templates in your clinic, but with sub-optimal results: how did you get to your current approach? Can you briefly explain your perspective for our readers? I, myself used to be ill. Earlier, I had Crohn disease, diabetes, and hypertension with a serious case of extensive eczema. I took a bunch of medicines at the time. My colleagues suggested me trying the biologic therapy then. Being a doctor, I knew and I could see, this might not be the right treatment. My past and earlier clinical experience hinted me, I had to find some other therapy to cure myself. That’s how I found the paleolithic nutrition of Loren Cordain. I thought I had nothing to lose, so I decided to try it. It seemed like a logical system. I have to say, I reached success really very soon! I almost totally recovered from my diseases in two months! True, it was hard to believe that such a simple therapy can be so effective. Having seen my results, my close friends started following my example. Soon, I saw, my friends’ symptoms just disappear and they also stopped taking medicines! I cannot really tell you how fantastic this feeling was! As a professional, I realized, I had found a therapy, that really worked. Later, step by step, I studied the work of my predecessors who were Staffan Lindeberg, Boyd Eton, Melvin Conner, Walter Voegtlin. Soon I started my private medical practice. The Big Journey started at this point. As the therapy proved successful, I had a really large number of patients in no time. Sometime later, child patients appeared in my practice too. It also came clear, that the paleo diet was not an almighty therapy, it had its insufficiencies too. That’s when dr. Zsofia Clemens, neuroscientist joined me, who arrived at the same conclusions on the classic ketogenic diet as myself on the paleo nutrition. She was aware of the deficiencies and side-effects of the classic ketogenic diet. Together, soon we arrived at the conclusion, that the solution would be the paleolithic ketogenic diet, which eliminates the defects of both diets, since, we were convinced it was the only healthy nutritional way for the human being. This diet means the real evolutionary approach. After a series of clinical practice, we arrived at the paleolithic ketogenic diet. We could name the paleolithic-ketogenic diet, the ”healthy diet”, but we have to make a difference here, to ensure clear distinctness. I also have to mention, that the paleo-ketogenic diet incorporates the authentic paleo nutrition. Since 2013, we have been applying solely this therapy in our patients. We not only speak about nutritional intervention but we are indeed using it, in our wide clinical practice. I am convinced, that no other therapy exists for the complete recovery of chronic diseases and I say this having 22 years of clinical practice with patients. Furthermore, I do not use the paleolithic-ketogenic diet therapy only because I like it, or just because I have predispositions toward non-traditional approaches. I use this therapy because this is the most effective one, compared to all other therapies. Should I be restrained to use this therapy – I would immediately stop my practice, because any other method would be a „home D.I.Y” compared to this one. This might not be nice to hear to all, as paleolithic ketogenic diet is basically a need-based nutrition, without the well-known gastronomic delights. Still, it is the only nutrition form that does not cause side-effects or nutritional deficiencies. This also means that we are not ”liked” by all, like by the devotees of the popular paleo nutrition, or by the apostles of ketogenic nutrition. What can we do about it? We accept, that this is what the evolutionary dice threw for us. This is the only way to really cure our patients. You have a great staff of experts, how did you get in touch with the other members and decided to embrace this project? As I have already mentioned, it was dr. Zsofia Clemens, a neuroscientist who joined me first. By that time, she already has been highly knowledgeable about ketogenic nutrition. She used to be a leading researcher of a neurologic clinic then. By then, she already knew that there were problems with the classic ketogenic diet. As soon as she learned about my results, we got in contact and a fruitful cooperation between us was formed really very soon. Both of us found the missing part of our own research. Both of us were researchers and scientific humans. We were both aware what it could mean if we find the perfect solution. All of our other team members have experimentally come to some essential recognition at their own activity field, that proved to be a solution to some particular health problem. This was the same case when we introduced the measurement of gut permeability in our practice. It took a two-years-long research work together with chemical engineer Peter Meresz, PhD, before we arrived at the stable method of the measurement. Earlier, he already used to be engaged in the method of membrane functions. I can accept, that the principles of our therapy method might not be totally clear for all, because we can say, our way of thinking and our clinical approach goes totally contrary to the current standard of medical care. Thus, every day, the members of our team, are exposed to serious challenges. Still, our professional competence and the overwhelming evidence of our work keep our team together. Moreover, from time to time, our team is joined by new researchers. Our team has two essential principles in mind: We all refuse naturopathy: we only use scientific methods. Our other principle common to group members is the diet itself. We only accept the new members to join our team, who can fully agree that the paleolithic-ketogenic diet is what we can call the healthy diet. Once agreed and accepted, naturally, our team members follow this diet themselves. I believe, any team can only be trustworthy, if they understand what they are doing to the smallest detail. 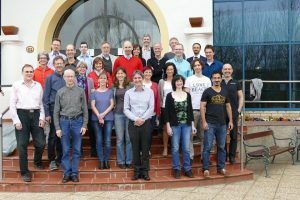 I am quite proud of having such a team, as our activity is based on a rock-solid scientific basis and on indisputable purpose. I could say, our present team of doctors and researchers has gone through a successful process of evolutionary selection, generated by itself, by the team members who are driven by the enthusiasm to finding the scientific truth. You are treating a wide array of diseases, how do people respond to your approach? What is the compliance rate? How many people have you already healed? This is a rather complex subject since the paleolithic ketogenic diet is clearly not supported by either the society or by the medical profession. People, starting to follow this diet, need to have some serious motivation to do it. In the long run, only those with certain personality features, like preservance or tendentiousness remain persistent to it. Cancer patients, autoimmune patients meet difficulties every day when they chose our therapy. They have indeed very little support from their surroundings. Due to their own limits and the lack of supporting environment, less than the quarter of the patients following this diet, remain persistent to it for more than one year. True, that this proportion is growing constantly, but slowly. This means, the proportion of self-conscious patients – those who realize this is not just another method of many similar ones and know why they chose this particular therapy – is constantly growing. The total number of our patients is close to 10,000 since the year 2010. I can state, 99% of the patients of those who follow our protocol and realize this diet perfectly are cured. The remaining 1% of patients were lost to reach success at the very beginning. Someone points out that research is entirely focused on the large intestine but overlooking the small one, what do you think? I believe, this is only a small detail, that is irrelevant from the viewpoint of clinical practice. What do you feel to tell about the biased outcomes from the World Health Organisation about meat carcinogenicity (based on flimsy epidemiological evidence in our opinion)? I simply think those, who set these recommendations are simply incompetent. They are not in possession of the necessary knowledge and they do not see the limits set by their knowledge. They tend to surpass their own limits due to commercial or other interests and pressure. The results that they refer to are not appropriate for a research analysis. Why? Because, Homo sapiens is a carnivore animal, still these recommendations regard him omnivorous. Only those studies were correct that should have been done while following a really healthy diet. But no such examinations exist. Or…let me see, if there may be such tests? Yes, surely there are: We know about some ethnic groups who have been eating exclusively meat for several ten thousands of years: the group of the Inuits, that of the natives of North America, or the Homo species that have been subsisting on animals for 2.6 million of years. Of course, we have to remind ourselves, that the ”meat of today” may contain many carcinogenic additives, like dioxin or nitrates and nitrites. But these additives are added to the meat by us, humans! Be careful! The problem with processed meat is not the meat itself or curing it with smoke, but the nitrates! Nitrates ARE carcinogenic. Too bad, this might be new to hear for some people who publicize paleo or other so-called evolutionary nutritional trends. You seem a person that does what he preaches, can you give us your typical daily meal plan? I, myself follow quite a simple diet. I do not strive for variety as it is not a condition for a healthy diet at all! I am living on red meat and animal fat. Mostly pork, beef, lamb and goat. Fewer eggs and fish. A minimal quantity of vegetables and fruits once or twice a month. I drink water. Meat can be prepared in the kitchen in a hundred ways! I eat quite a lot of smoked meat too. These processed meats are specially manufactured by traditional preservation. I never use any kind of vegetable oils, only animal fat. I only eat, when I am hungry. This means maximum two meals a day, sometimes just one meal a day. I drink, only when I am thirsty and it is not more than 5-6 dl of water a day. I try to regard eating as a need, which is simply necessary for the healthy functioning of my body and my well-being – I don’t eat for joy. I recovered from all my earlier diseases, I don’t have any health problems. How is your practice taken from your “mainstream” colleagues? For example, here in Italy a doctor or nutritionist risks to be expelled from his order just for complaining against the ‘Mediterranean diet’ (UNESCO heritage) or the symptom-drug centered treatments used by conventional medicine. What is the situation in Hungary? The situation is not much easier in Hungary either. I am lucky, as nutritional intervention is regarded as a medical activity which is legally allowed to practice in our country. We also cure many of our Hungarian and foreign doctor colleagues – this speaks for itself, I think. Ethical principles state, that it is not ”evidence-based medicine” what is important, but the results themselves. Paleolithic ketogenic diet is unassailable based on a professional basis as it proved to be effective also it has no side-effects. Even so, our team is vividly attacked by the Hungarian Diabetes Association. But their attacks are becoming weaker and weaker as they cannot come to grips with us. Things that work, will always find their way. Cutting down on medicines is also a big challenge and it is much more difficult than ordering medicine for a patient. Doctors are afraid of it and there is no one who could teach them how to get rid of medicines. We exactly do this, so we meet a lot of resistance in this field too. Much knowledge and practice are needed when we want to cut down on medicines. Our team of doctors has an internationally leading role in this respect too. I clearly do not know any other clinical team, which could cut down medicines in such a measure and effectiveness, as we do. We can successfully solve even the most complex and difficult medicational situations. Needless to say, the current medical establishment is defending its position and they don’t have the slightest intention to admit having misled patients for several decades. Systems of crisis are always ended by one sudden purification wave – or they remain there forever. We have to keep in mind, that the simple evaluation of a patient’s lab results, following the paleolithic ketogenic diet means a problem for the average doctor. Same is the case with the evaluation of results caused by ketosis. They don’t have an idea on how to regard an increased level of blood cholesterol or that of the uric acid. How to evaluate the presence of acetone in the urine? They do not accept, that ketosis is a fully physiological condition. They apply the traditional schemes because these are the legally accepted ones. Unfortunately, the present medicine manufacturing and legal regulation are in an irreconcilable opposition with science and they don’t serve the patients’ interests at all. But, let’s change to a more important question: what will be the main topic among doctors at about 50 years from now? I believe, the paleolithic ketogenic nutrition has a good chance to be the winner among other subjects. 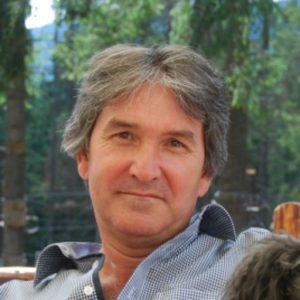 Can you give some advice to the incapable Italian doctors who embraced the evolutionary lifestyle, but still afraid and unfit about going against the mainstream propaganda (i.e. the country of pasta and pizza), in order to promote and spread this template to the public, or more important to use it in a clinic as you are successfully doing? Now, this is something really extremely difficult! An American anthropologist Margaret Mead once said: “It is easier to change a man’s religion than to change his diet.” I find it so true. Try to convince an Englishman not to drink tea, a German not to drink beer, an Italian to forget about pasta, a Hungarian to leave red paprika powder or onions. It is almost impossible to do it! Frankly, think, it is still too early for our societies to see the light. We just have to be persistent in what we do, thus generating more and more doctors and researchers who understand what is happening and why. Then, sometime in the future, people will wake up to the truth, that healthy nutrition is something totally different to that, what it is said to be nowadays. People already feel and experience that something is wrong with the present way of medication. Let’s not be naive, doctors are aware of the same too. But until they get paid after the respected protocols and not after the number of cured patients, there is no hope for a miracle… Now, much effort is to be made on transmitting the necessary information to doctors, who are open to learn and experience more. Later, in a few decades, lots of them will see a much clearer picture. If we operate by nutritional intervention and provide our patients nutritional advice, we have to be aware how it works practically. This is a big responsibility. In other words, let’s not only preach but practice it too! This way, we open the gate to more experience. Naturally, we would be more than glad to see all doctors in our rehabilitation institute taking part in our annual international knowledge sharing event ”Clinical Open Days”. The next such event is planned for spring in 2019. What do you think about “paleo” friendly products (‘paleo’ pancakes, waffles, cakes, etc…) used to “dilute” the evolutionary template to a public that is not prone to embrace a more reliable and true version? These are gastronomic products that only satisfy the weakness and psychic needs of nutrition of people. These are just as risky, as the traditional products, because of the vegetable oils, seed flours and artificial sweeteners that they contain. This is absolutely clear for us, after evaluating more than ten thousand lab test results. A lot of our patients started following the paleo diet because they wanted to change for a healthy way of living. Sometime later, they appeared in our consulting room complaining about their autoimmune disease of the thyroid gland, cancer or some other autoimmune disease. We could clearly see what’s happening, right after the first few thousands of patients, in 2013. Many of them started the paleolithic ketogenic nutrition and they recovered. Then happy about their recovery, they relaxed and returned to the popular paleo diet. Very soon, the first negative effects appeared. Moreover, I hear some ’paleo gurus’ setting some doubtfully weird nutritional recommendations to patients as for the consumption of vegetables and fruits or even nitrites and nitrates. To sum up, I consider the popular paleo diet to be just as bad as the Western type of nutrition. The popular paleo diet may be a different way, still, it generates serious health issues. We tend to underestimate the negative effects of the consumption of plants on our health. We only know very few researchers who see the real dangers in this. Too bad, Hungary was one of the cradles of the paleo-cake craze. At the very beginning, it did not appear for us to be a danger, by now its bad effects became clear. Still, as these foods are tasty and enjoyable, people are willing to consume them and regard them positively. ”Paleo gurus” have even more responsibility in this trend. It is also clear, that it is not the road, that the scientific researchers of the paleolithic nutrition wanted to take. Once, the Spirit was released from the bottle, nothing else is able to put it back there again but the paleolithic ketogenic diet. And this, exclusively on a scientific basis. What would you think about practitioners who strongly push this kind of products to reach a greater audience among the general public? I think, only those who have the reliable physiologic knowledge, have the right to give recommendations to others, so, not an engine driver or a mathematician, who has just been paleo diet for a certain time. I, myself like physics very much and my favorite part is quantum physics. I read a lot about this and listen to university lectures often. Nevertheless, I would not be brave enough to add my suggestions to the creation of a nuclear power plant. As I already mentioned, I used to study aeromedicine, so, on many occasions, I ”flew”, sitting in flight simulators at the time. I know much more about flying a plane than an average person does. Still, if sitting on a plane, I would not try to give hints to the pilot. If I did, I could risk my own life and I would surpass my own limits. Medical therapy and peoples’ health are serious and responsible issues. Limits have to be clearly set there. Many individuals, who have been leading a ketogenic diet for two years, think that they have become experts of this subject already. Doctors must take the guidance back from these people, in order to avoid that the Internet is filled with dilettant and risky information. It is particularly unsafe for child patients. Of course, people accept paleo cakes more easily, than the fact, that humans are a carnivore living being. We have a lot of fights against this problem, just like Loren Cordain does. Here again, a big purification must come to the picture. But, as I often say, everything will find its right place with time. The only problem is, that there will be patients who are going to die following some nutritional guru’s advice before the big picture becomes clear. I really believe, it is unique! I can only recommend reading it to all. Truth isn’t always rewarding, but sooner or later it will find its way to come to the surface. We founded an evolutionary medicine society (SIMNE) here in Italy, we hope to cooperate with you one day…I want to thank you for renewing our admiration for you and your work. Such a society can function well, in case its members are not afraid to accept even the most surprising results. I sincerely believe that the clinical internal medicine part of medical science has to be re-written, from the beginning, right to the end. Here, the first thing is to determine what an optimal evolutionary nutrition is for humans. Once this is cleared, all the other open issues will be immediately solved. Believe me, questions that seem complicated can be answered with simple replies. We would be glad to take part in this process. 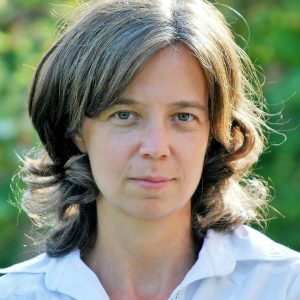 I think, our working team led by dr. Zsofia Clemens is in possession of such a knowledge and clinical practice, that is unavoidable in the field of nutritional science, by now. True, this might sound ”dangerous” for certain people, as there can be only one Truth in science, not more. Of course, everyone considers their own opinion to be right. Others believe, several solutions may exist for the same problem. Lately, I hear about paleo nutrition variations or ketogenic nutrition variations. Nonetheless, for the Human being, an animal species of primates – just for any other animal species – only one optimal diet exists. Not more. There is no ”golden middle way”. The primary task for an Evolutionary Medicine Society is to make visible that at least 90% of our internal diseases are caused by a bad diet and our diseases have nothing to do with genetics. Further, to make visible what healthy nutrition means, clearly and exactly stating its details. This latter one is the most important principle for a doctor. When we complete this task, we can say, we have achieved the most significant development of the past ten thousand years. We are ready to provide you with our knowledge and support, with pleasure. We want to thank Csaba and his team for their kindness and for their amazing work, that is actually changing the world and the perspective about medicine. We are really honored to have such a great chance to meet them. We are managing patients with chronic internal diseases using a dietary intervention method. These diseases include all types of diabetes, autoimmune diseases, such as Crohn’s disease and rheumatoid arthritis. But it also includes atherosclerosis. We are working with specialists who are highly experienced in epilepsy and cancer as well. We provide complex rehabilitation from diagnostics to complete recovery. In case you wish to consult us, we will ask for your medical documentation in advance. You may send it electronically or by surface mail. Only having read your documentation we are able to fix an appointment with you. Thank you for your interest in our clinic and the services offered by our staff. In order to provide you with fast and efficient services our automated patient assistant will walk you through the consenting and registration process. Please note that due to the recent increase in the demand we have a limited ability to reply to questions beyond the process provided by the automated patient assistant. Budapest H-1137 Carl Lutz rkp 29. Kehidakustány H-8784, Kossuth u. 62.